Achieve your goals with THE Whey+ with PhaseTech™ — our most advanced whey formula to date. Harnessing our new and exclusive time-release beadlet delivery system, it gives the sustained boost of ingredients you need to see results in the gym or on the track. 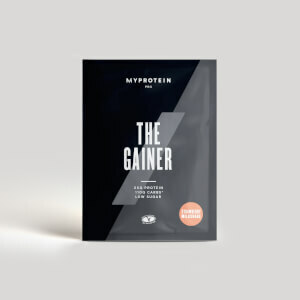 THE Whey+ uses a combination of protein, which helps grow important muscle1, and other clinically studied cutting-edge ingredients to help you stay ahead of the game. THE Whey+ is a unique blend of whey protein isolate, and GroPlex™ — we’ve taken our premium protein blend and made it better than ever before. Whether you’re smashing a circuit or trying to shave a second from your lap time, it’s the protein you need to grow and maintain muscle1. A new standard of sports nutrition — our new and improved whey offers unrivalled quality and taste to help you achieve your goals. It’s full to the brim with sustained-release PhaseTech™ BCAA, glutamine, and leucine — which naturally occur in protein and help build and repair new muscle1. Plus, it’s available in three indulgent flavours — Chocolate Brownie, Strawberry Milkshake, and Vanilla Ice Cream. 5g GroPlex™ — a unique combination of dairy peptides and proteins supporting muscle growth1. 6.5g PhaseTech™ BCAA: naturally occurring in our protein, they help build and repair new muscle1. Our beadlets are powered by PhaseTech™ technology. 5g PhaseTech™ L-glutamine: naturally occurring in our protein — helping to build and repair new muscle1, and also supported with our exclusive PhaseTech™ L-glutamine. We recommend taking it 30-60 minutes post-workout to gain the maximum benefits. Or, take it in the morning to get a sustained dose of BCAAs throughout your day and keep topped up on protein. To maximise results, combine THE Whey+ with our ultra-premium pre-workout formula — THE Pre-Workout+. It’s powered by PhaseTech sustained-release technology, giving you a sustained caffeine boost to power your workout as well as your day2. Get more for your money, saving on everything from protein-packed snacks to explosive pre-workouts, and all your favourite supplements. You receive one reward point for every pound spent, so simply redeem next time you shop to stay fuelled for less. 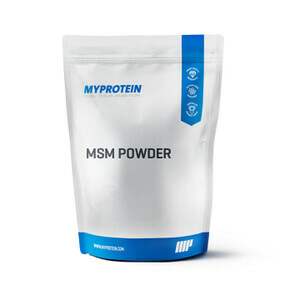 Add 1 scoop to water or milk in a Myprotein shaker 30 minutes before and/or after your workout. Whey Protein Isolate (Milk, Soy), Groplex (Hydrolysed Whey Protein, Micellar Casein) (Milk, Soy), Cocoa Powder, Flavouring (Maltodextrin, Triacetin, Gum Acacia, Flavouring substances, Natural Flavouring substances), PhaseTech™ Beadlets (BCAA (Leucine, Isoleucine, Valine), L-Leucine, L-Glutamine (Sodium Bicarbonate, Anti-Caking Agents (Talc, Silica, Magnesium Stearate, Ethyl Cellulose), Vegetable Oil, Purified Water, Acid (Citric Acid), Glazing Agent (Amino Methacrylate Copolymer, Isopropyl Alcohol, Methylene Dichloride), Thickening Agent (Hydroxypropylmethylcellulose), Maize Starch, Colour (E102, E129)), Xanthan Gum, Sweetener (Sucralose), Myzyme (Enzyme Blend: Protease, Amylase, Fungal Protease, Fungal Lactase, Lipase, Cellulase). 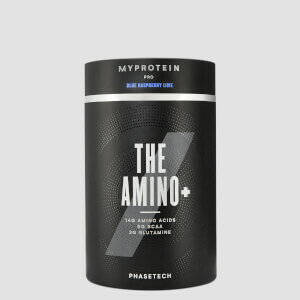 Whey Protein Isolate (Milk, Soy), Groplex (Hydrolysed Whey Protein, Micellar Casein) (Milk, Soy), Flavouring (Maltodextrin, Flavourings, Colour (Beetroot Red), Sweetener (Sucralose), PhaseTech™ Beadlets (BCAA (Leucine, Isoleucine, Valine), L-Leucine, L-Glutamine (Sodium Bicarbonate, Anti-Caking Agents (Talc, Silica, Magnesium Stearate, Ethyl Cellulose), Vegetable Oil, Purified Water, Acid (Citric Acid), Glazing Agent (Amino Methacrylate Copolymer, Isopropyl Alcohol, Methylene Dichloride), Thickening Agent (Hydroxypropylmethylcellulose), Maize Starch, Colour (E102, E129)), Xanthan Gum, Myzyme (Enzyme Blend: Protease, Amylase, Fungal Protease, Fungal Lactase, Lipase, Cellulase).